Atlantic South Region: Pickleball Clinic,Play and Pot Luck! With four tennis courts, the group is marking off Pickleball lines with chalk and hopes to someday have their own designated PickleBall courts. In the meantime, they have the leadership of the Hess' and tonightTom Earley conducted a brief clinic and play before a pot luck smorgasbord. 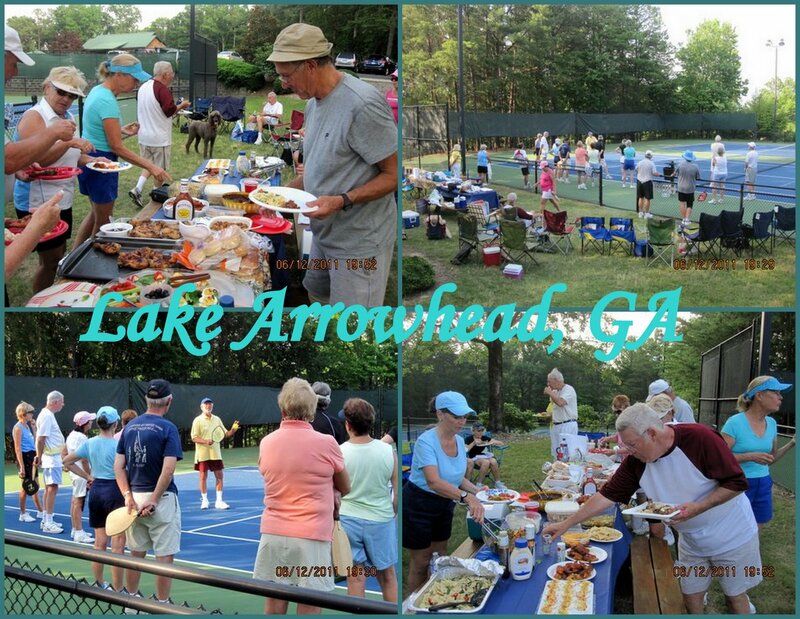 The Lake Arrowhead players are invited to join the North Georgia Pickleball Club every Monday, Wednesday , Friday and Sunday at 9:00 am as well.